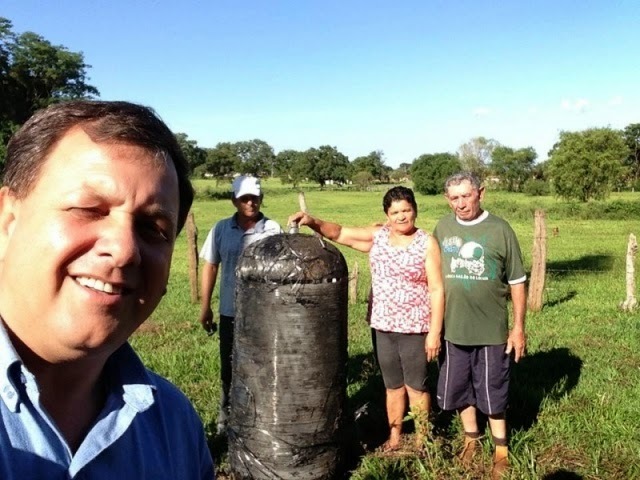 What was this giant UFO fireball captured on video flying in the skies of Mato Grosso do Sul? Is there any logical explanation for this sky phenomenon that scared residents? In any cases these weird lights were bright and eerie. Look at the videos! 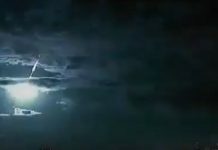 This mysterious fireball crossed the skies of central-western Brazil, mainly in Mato Grosso do Sul, on Saturday, December 27, 2014 and scared the hell out of all residents that witnessed the fall. 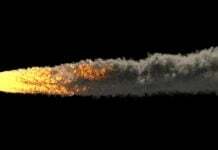 But wait a minute, meteors are normally much faster than this! Indeed the ‘meteor’ is travelling so slow that people had time to see it approaching Earth’s surface! A collision? So what was causing this bright sky phenomenon? 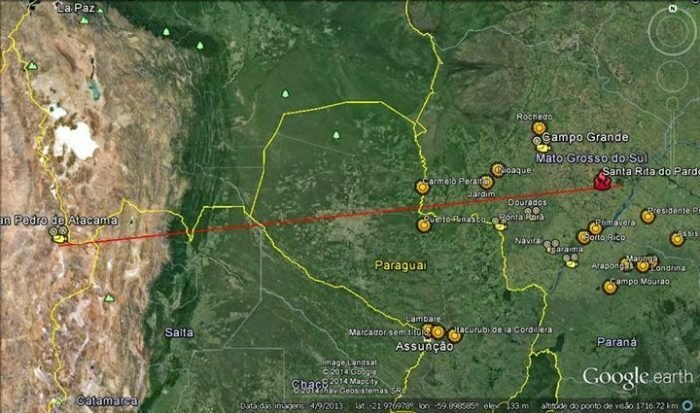 Actually, other strange meteors had also been witnessed during the same night at other locations, including Campo Grande, Paraná and Paraguay. 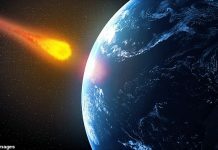 The most probable explanations are some kind of asteroid, comet, or some other space object colliding with the Earth. Later, a strange metallic piece of metal has been found found in Santa Rita do Pardo, about 300 km from Campo Grande, MS, which is according to astronomical pages responsible for this amazing sky spectacle. 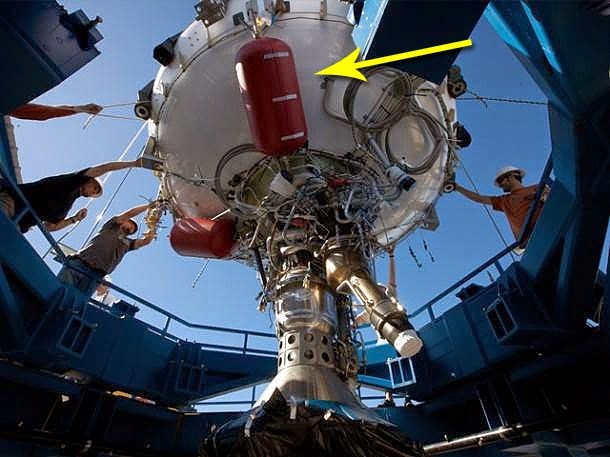 According to these same space specialists, the cylinder charred that was found is actually a piece of a rocket known as NORAD 40142. It had been launched on September 7, 2014 to put the AsiaSat 6 satellite in orbit. After a few weeks, this rocket from SpaceX began to lose altitude, and re-entered the Earth’s atmosphere above Chile, producing a huge wake of incandescent fragments that were seen crossing the Bolivia and Paraguay, and finally reaching the Midwest regions of Brazil.